For maximum winter warmth from the ski slopes to the city streets, the Mogul Beanie is made with heavyweight merino wool jersey with a super-soft terry lining. A touch of Lycra® gives the beanie plenty of stretch and the highly breathable fabric manages moisture and resist odors during long days in the cold. Mogul Beanie is rated 4.3 out of 5 by 3. 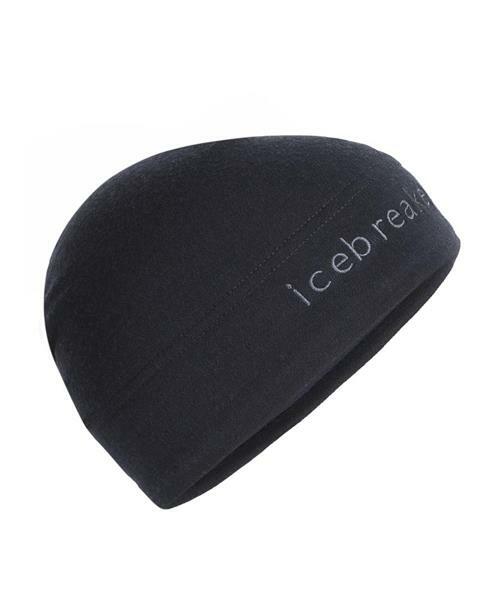 Rated 3 out of 5 by SmithKingston from Quality has slipped since the last one I bought I bought this as a replacement to (what I thought was) the identical Icebreaker beanie I bought 3 years ago. This new version is hugely oversized which is unnecessary for a stretchy hat...it’s baggy on my head. The fabric also feels thinner and more synthetic than my old hat. Not impressed...feels like Icebreaker was looking for ways to reduce manufacturing costs on what was an awesome product. Rated 5 out of 5 by OutdoorPerson from Love this beanie so much I wear it to bed! This beanie is really super comfortable and warm. Outside yesterday in -21, all good! Rated 5 out of 5 by Vinny from Super comfy Toasty warm. Perfect Saskatchewan tuque. Wife and I both huge fans of merino..